Both spinning and weaving grew in popularity after the Second World War. Some spinners and weavers dyed their own wool. 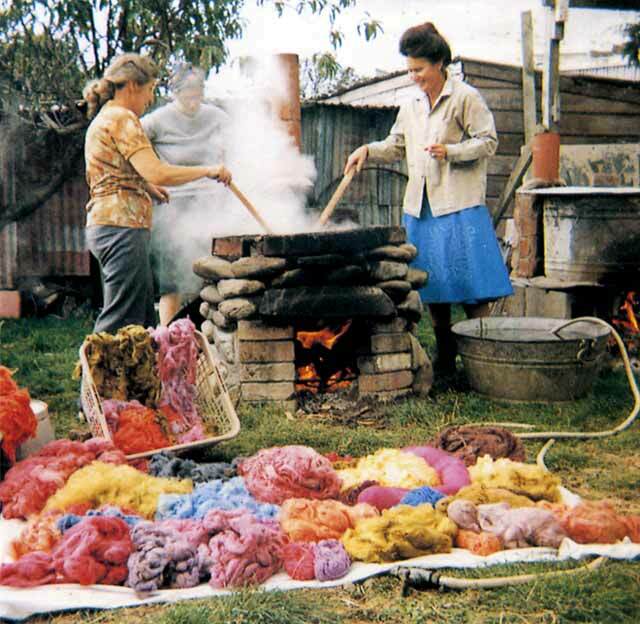 Here Joan Gordon, Muriel Bunny (partially obscured) and Maureen Tracey of the Port Nicholson Weavers (a Wellington group) are dyeing wool in Bunny's back garden, just outside Ōtaki.